Words can not express our true appreciation for Pam as a realtor. We found Pam to be extremely thorough and professional when representing us with our chosen builder. Her firm insistence was always a demonstration of her professional manner and knowledge of contractual obligations and industry standard. 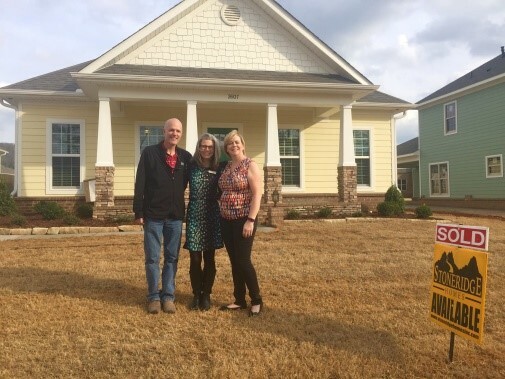 When we had a problem on our final punch list that was not easily solved, Pam stood with us for an extended time to make sure the builder kept their obligation to provide our home in new home condition. Words can not express our true appreciation for Pam as a realtor. Pam wasn’t our first realtor but she was by far our best. If you are currently in need of a realtor to represent you on either side of the transaction, I can say with full confidence that Pam will represent you in the most professional manner and a thoroughness that will give you the confidence and trust not found elsewhere.